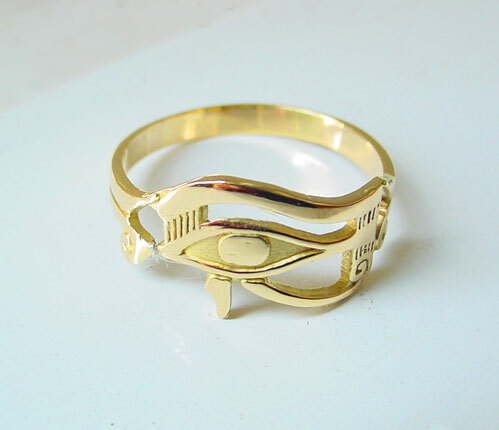 Our 18k gold eye of horus ring is handmade in Egypt. 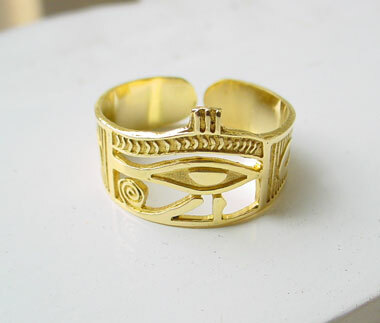 The Egyptian 18k gold Eye of Horus Ring -Also know as the UDJAT (meaning eye), it was the eye of the falcon-god Horus, son of the goddess Isis. The Egyptian pharoah was thought to be the god Horus incarnate. A symbol of perfection and well-being, it was a powerful amulet worn for protection against evil in ancient Egypt.